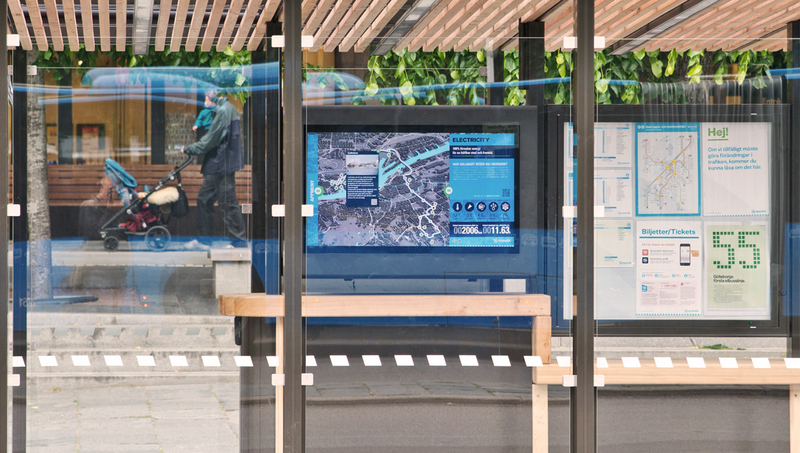 Based on West traffics vision of an interactive community around bus stops in Gothenburg, the Spree has developed two concepts for informative and entertaining digital solutions. 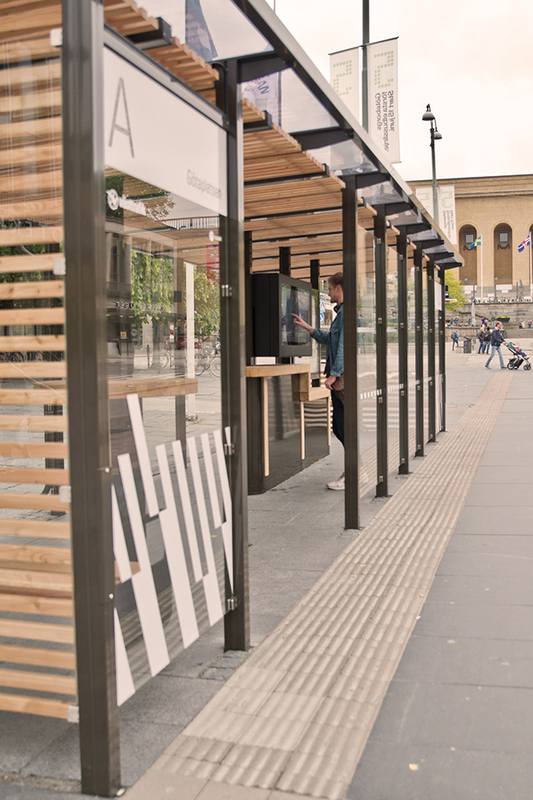 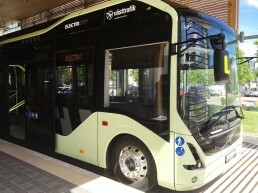 In cooperation with the project Electricity built West Traffic a vision of an interactive meeting place at selected bus stops along the new electric bus in Gothenburg. 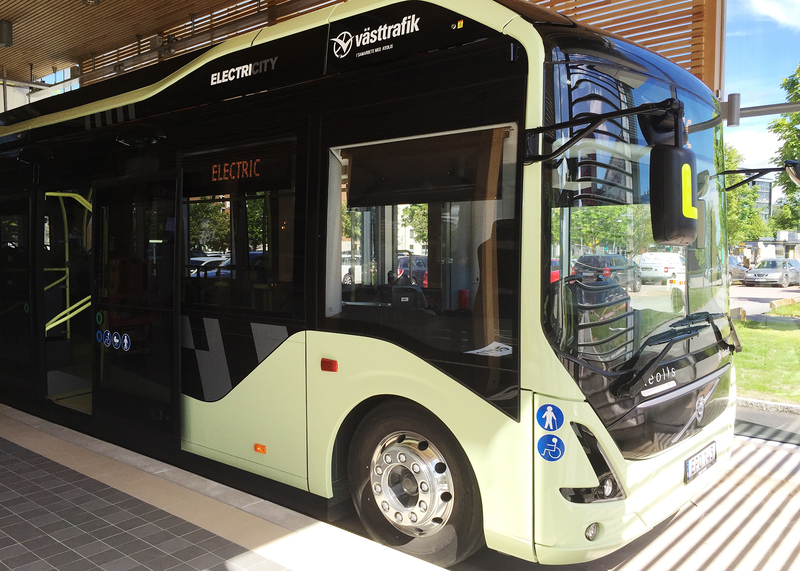 Electric buses operating line 55 and the selected bus stops of the solution is Brown Park, Chalmers place and Technology Way. 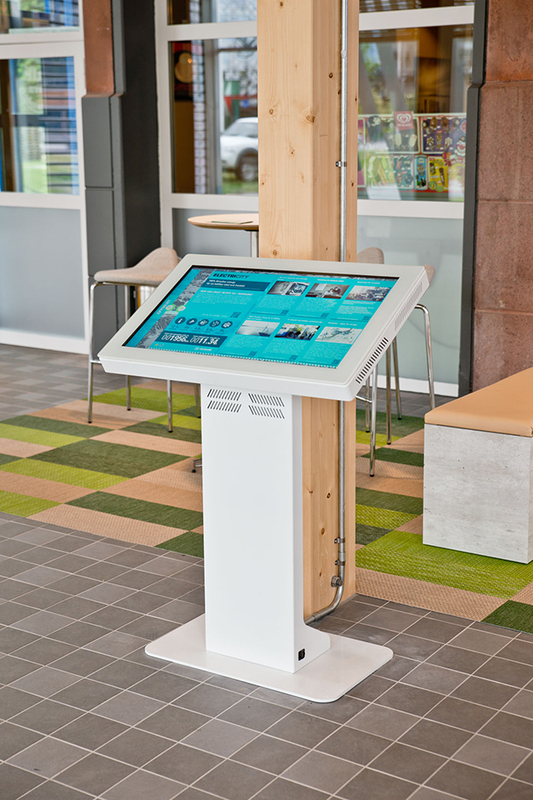 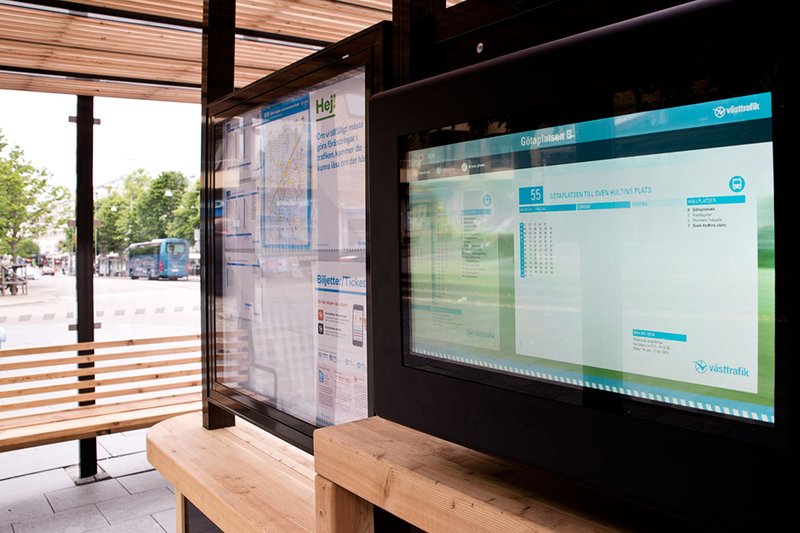 The interactive screens needed to show both practical information such as timetables, bus stop information, and information about the companies involved in Electricity. In addition they wanted an environment where individuals, businesses and institutions could contribute their own applications. 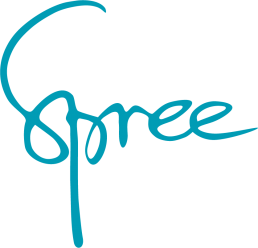 Spree took a concept that combined the useful information and an app-launcher which future applications can be installed. 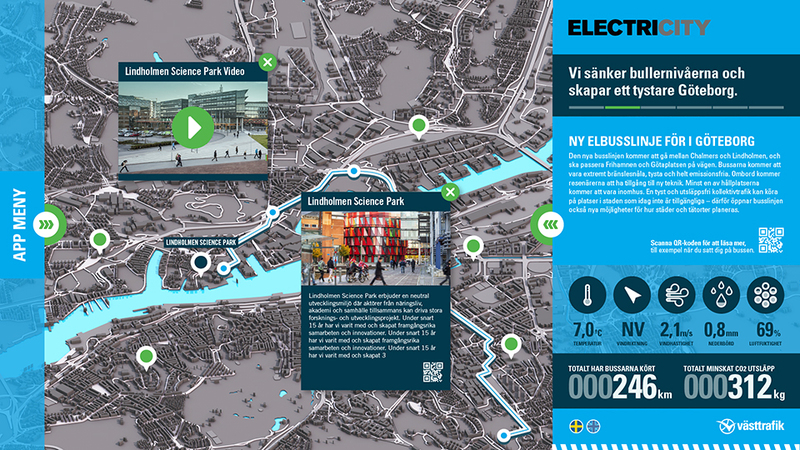 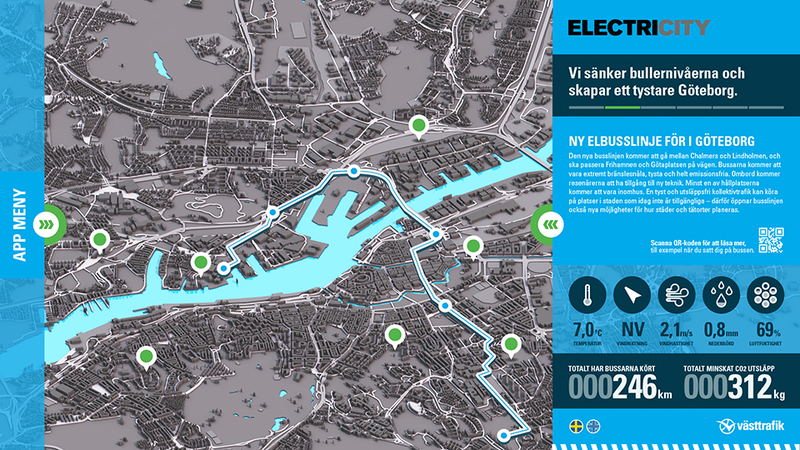 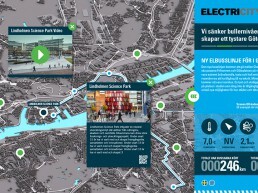 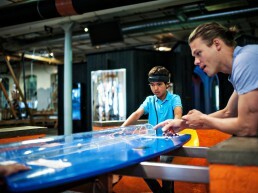 The concept is based on the navigation of a map of Gothenburg and home screen provides a clear overview of the content. 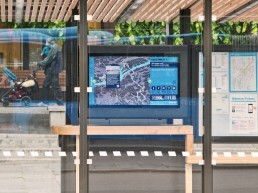 With both IP rating requirements for outdoor environment and the existing premises of the stops was customized hardware developed for this project. 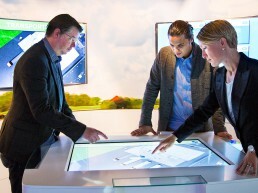 With Telac as partners were two different solutions developed to meet customer needs. 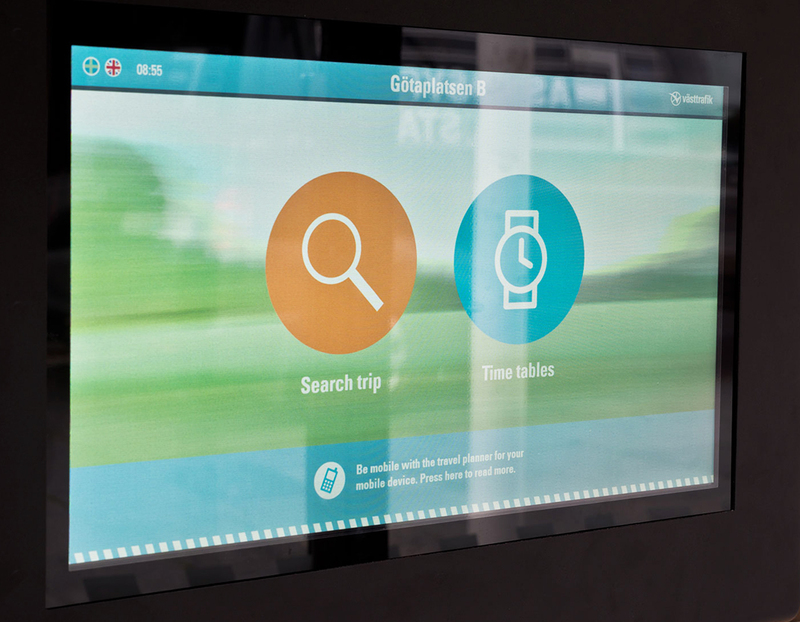 To satisfy the customer’s desire for an ecosystem where various stakeholders would upload their own applications spree conducted a detailed research to analyze possible solutions. 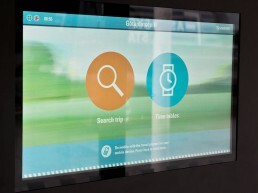 The solution currently uses an ecosystem based on HTML5 applications around to give the opportunity for a broad audience to produce content for the interactive screens. 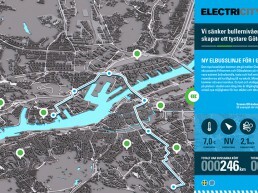 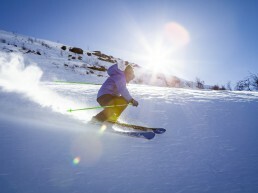 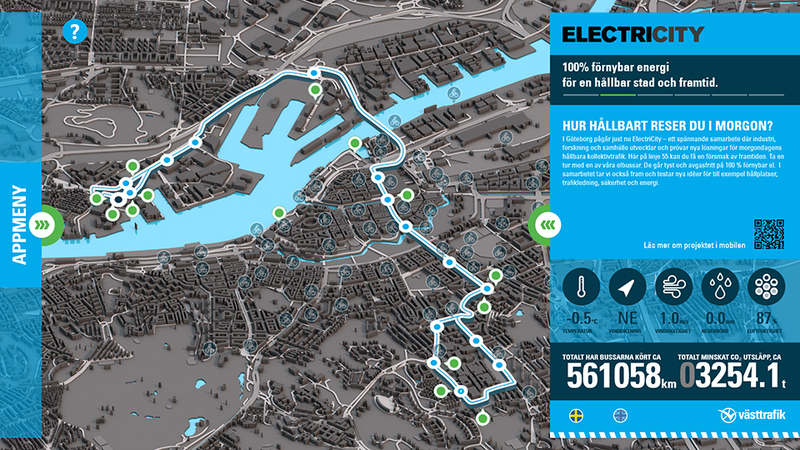 In addition to information about the Electricity updated application with a feature where the user can track the availability of rental bikes in the Gothenburg area. 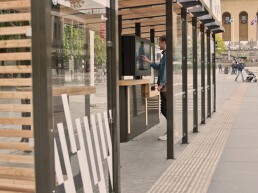 With this added feature expanded solution both for informational purposes, but also reinforces the idea of sustainable travel in the city. 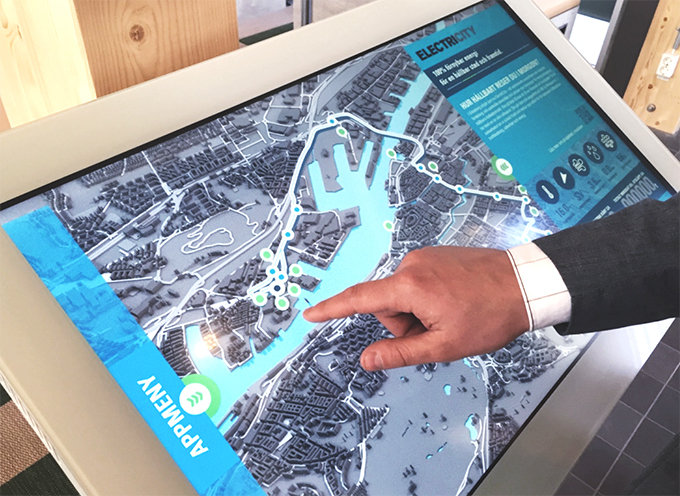 In Gothenburg, 15 stakeholders from industry, research and society together developed, tested and demonstrated new solutions for the future. 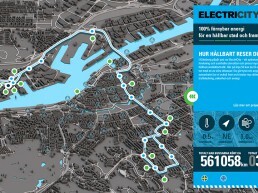 The partnership is known as Electricity. 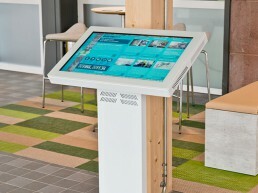 In order to deliver customized and engaging solutions every project involves different skills and technical requirements. 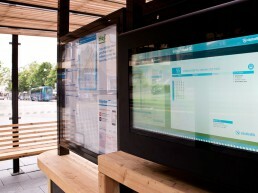 Below is what we contributed with in this particular project.